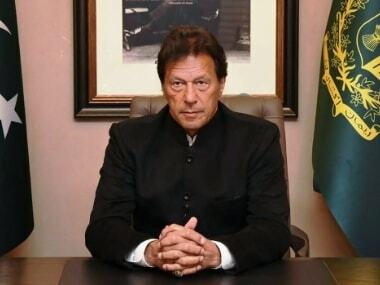 Pakistan prime minister Imran Khan must have been a moderately happy man on Pakistan Day on 23 March. He not only had a creditable guest of honour, a fine display of military might at the Shakarparian Parade Ground, and a delegation of aircraft from all-weather friend China. To top it all, he had a congratulatory message from New Delhi. Perhaps, just perhaps, the clouds of war had dissipated. It is general knowledge that Pakistan Day is marked for the day that Muslims of the subcontinent are said to have voted overwhelmingly for a separate homeland through the Lahore Resolution of 1940. There are some interesting aspects to this however, that are worth observing briefly. First, the Lahore declaration is in its entirety a political statement, and not a religious one. Second, there is no mention whatsoever in the text of the word Pakistan. Third, and arising from this, it talks of creation of “independent states” and not a single one. Fourth, the resolution was presented by a Bengali nationalist Fazal-ul Haq, which seems to back the longstanding belief that there was always an intention to create two separate states. And fifth, the beautifully concise text is democratic and revolutionary, particularly in its backing of the rights of minorities, both of which admirable characteristics, Pakistan has failed to comply with thereafter, though perhaps not due to the fault of the majority of its citizenry. And finally, to mention an oddity, the text of the resolution is unusually difficult to get in its original form. This one is from a treatise by a retired Pakistani judge. Islamabad doesn’t seem to want everyone to read it in full. There is a second reality. The basis for the argument that a majority of Muslims of undivided India were in favour of a separate Pakistan is usually cited with statistics of the 1946 provincial Assembly elections where the Muslim League captured a huge vote. A statistical study. however, argued that given the limited franchise then prevailing, less than 7 percent of the 96 million Muslims then in India had the right to vote. Which means that the majority of the adult population simply could not be said to have supported the creation of Pakistan. A good sized number also voted against it. None of this is valid today, since Pakistan stands tall as an independent country that is justly proud of itself. Except for one issue that lies at the core of not just Pakistan, but also its decision making. In 1947, the whole narrative was set by the elite among the Muslims, a circumstance that was somewhat identical in the Congress. The latter — and other political parties — have since come a long way with the noisy and boisterous masses being very much a part of running this country, sometimes to its detriment. In Pakistan, it’s still the elite that decides. On Pakistan Day therefore, Imran — who is as elite as it gets — can justly argue that India’s attempt to ‘isolate’ Pakistan failed dismally. Not only did Beijing choose to send a 90 member tri-service contingent to the parade, but it also sent the Chinese J-10’s which thrilled the crowd with their show. A Saudi Special Forces contingent and a Turkish Janissary Band also participated. The Guest of Honour, Prime Minister Mahathir made suitable remarks about "brotherly countries", and there is talk of agreements signed for purchase by the latter of Pakistan made weaponry possibly including the JF-10 and anti-tank missiles. Pakistan, it must be said, has a far better defence industry capability than India that it can point to with pride. All of this is very well, but the bottom line is that the whole exercise was for and by the elite. A recent research article pointed out how the Pakistan Army has continuously enriched itself and its off shoots over the years. Aligned to them – and often related by marriage or other ties — are different sections of the bureaucracy. And again aligned to them on occasions are the biggest looters of all, which are the political and religious parties. Imran doesn’t quite fall neatly into any of these categories, though he was undoubtedly backed by the “establishment’ during his election. 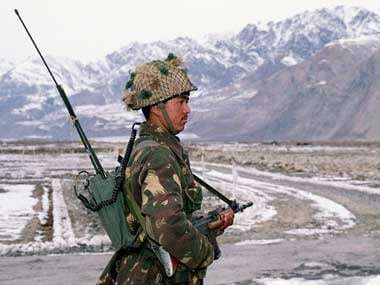 He has often said that the armed forces are at one with him in his decision making. So here comes the crux. 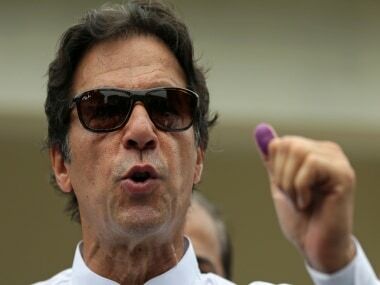 When Prime Minister Narendra Modi chose to send a congratulatory letter to Imran for the occasion, he deliberately chose to send the message that India’s grouse was not against him or Pakistan, but against the terrorists and their backers who have successfully roiled relations between the two countries for decades. Imran has the option to take that message to heart, and stop the terrorists who are bleeding Pakistan dry. That’s one way to bring the Lahore Resolution home to the people and make them proud to be Pakistani. Not to mention that life and visas would be made that much easier.